DAVAO CITY, Philippines (Mindanao Examiner / Apr. 12, 2011) – Philippine communist rebels on Tuesday accused a Japanese subsidiary of grabbing lands from local farmers in Mindanao. The rebels also warned they would fight for the rights of the farmers in Sultan Kudarat and South Cotabato provinces where the Sumitomo Fruits Philippines, a subsidiary of Sumitomo Japan, is planning to expand its banana plantations. 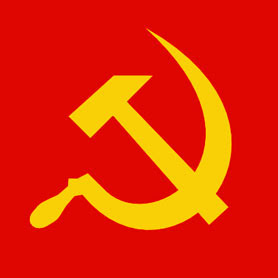 The Valentin Palamine Regional Operations Command of the New People’s Army condemned the alleged spate of land grabbing in the provinces. The rebels said in South Cotabato province alone, the company has over 5,000 hectares and still expanding. They also accused police and military commanders of colluding with the Sumitomo Fruits and said the security forces had reportedly killed some leaders of the Barangay Integrated Farmers Association against Crime in Sultan Kudarat’s Palimbang town. With an aggregate of no less than 25,000 hectares in the island of Mindanao and with enough armed backing from the police, the local government and the US-Aquino regime, Sumifru’s expansion seems insatiable and unstoppable,” said Dencio Madrigal, a rebel spokesman. Sumitomo Fruit Corporation, which is second only to Dole Stanfilco, is a fruit and vegetable importer and distributor based in Tokyo and bananas from the Philippines make up the bulk of its trade and its 25% share of the banana market in terms of volume of imports makes it the second biggest player in the business. Dole-Stanfilco on the other hand produces and sources bananas and other tropical fruit. It is part of Dole Asia's operations and is headquartered in Davao City also in Mindanao.